Giving your kitchen a makeover or simply making things more organized doesn’t have to cost you a lot of money. We found some affordable ideas that will give your cooking space a fresh new look and make it easier to access the things you use every day. 1. 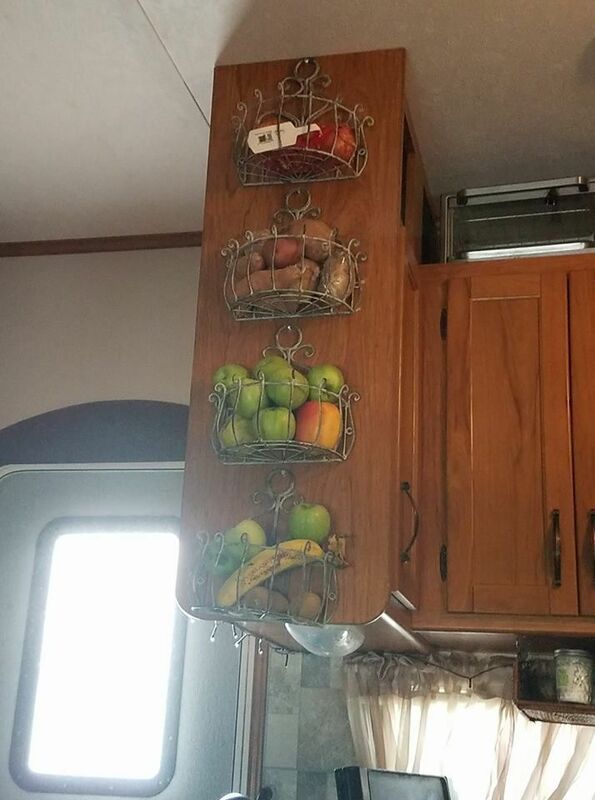 Mount wire baskets to hold your fruits and vegetables. 2. 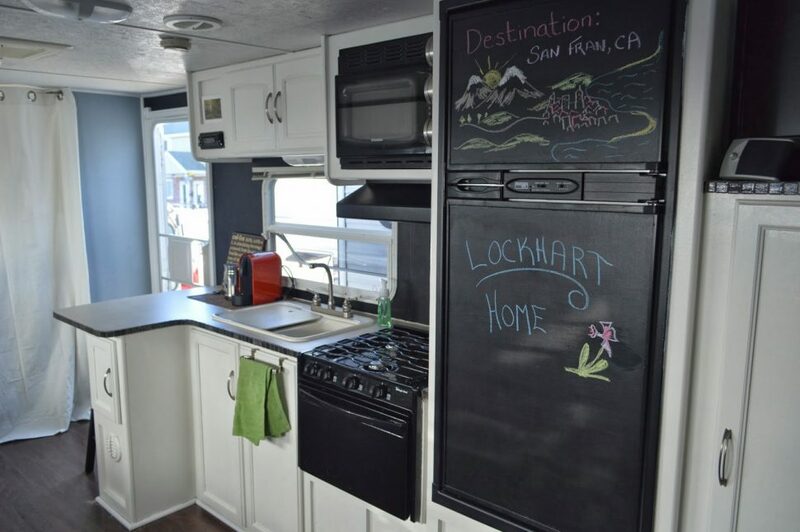 Transform the front of your fridge (or the inside of cabinet doors) with chalkboard paint. You can easily write down important reminders/dates or grocery lists. 3. 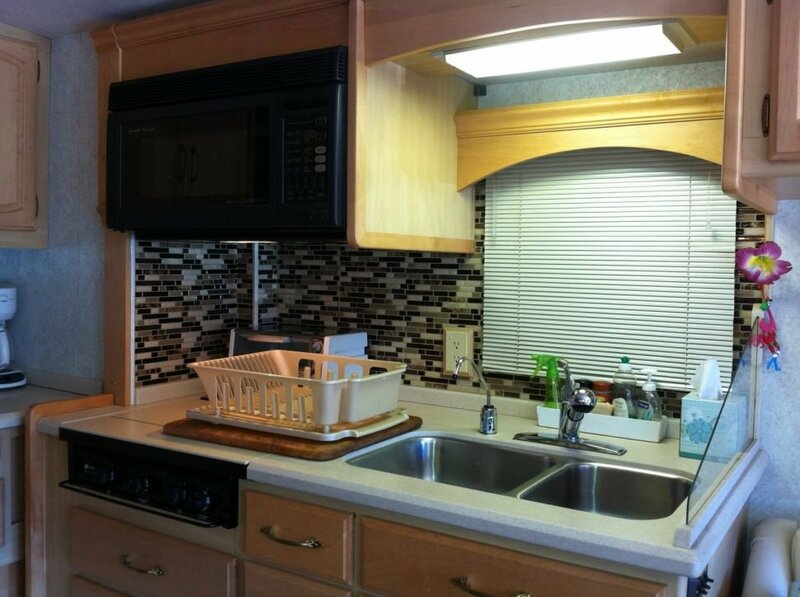 Add some peel-and-stick backsplash tiles on the wall behind your sink. You may need more than one pack of tiles, depending on the size of your kitchen. These ones from Tic Tac Tiles come in a 10-pack. 4. 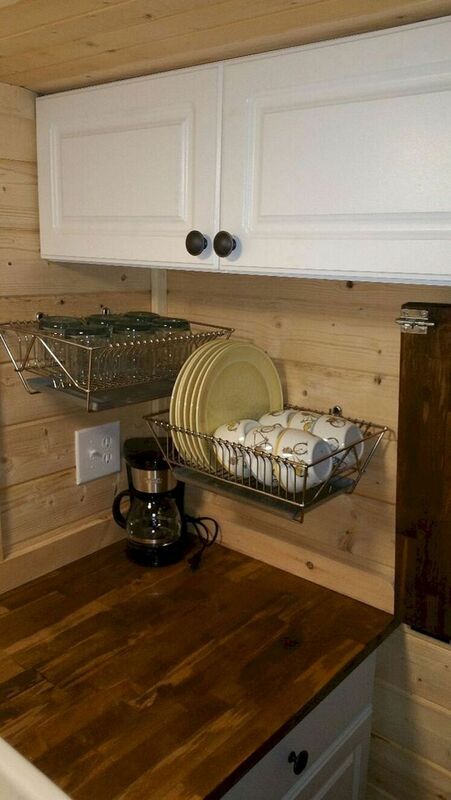 Mount your dish racks on the wall with hooks to open up counter space. Make more room for meal prep. 5. 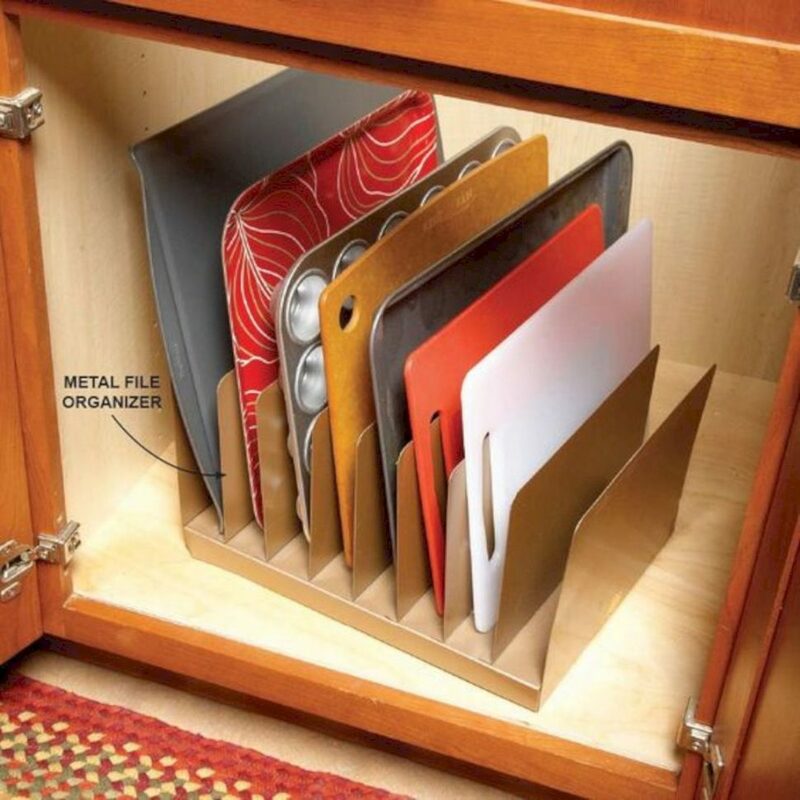 Use a metal file organizer to store your cutting boards or baking sheets. You can find them on Amazon or at local dollar stores. 6. 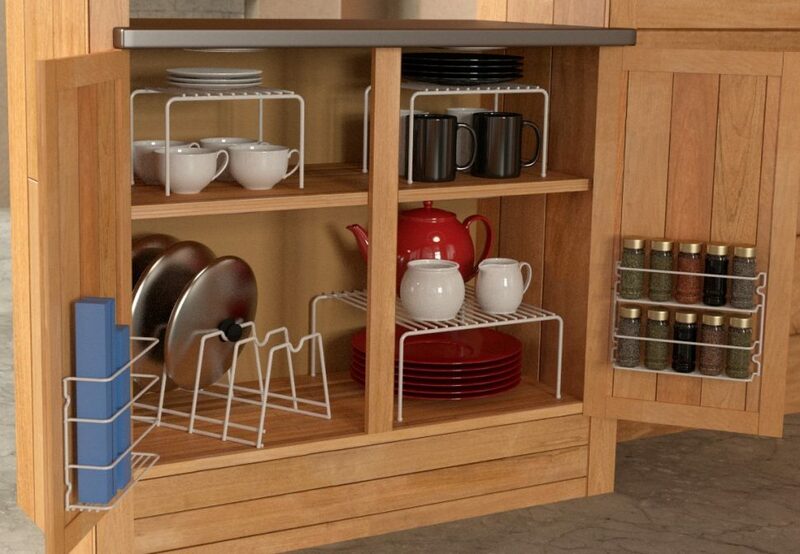 These organizer rails can also be mounted under cabinets or shelves to store cutting boards, baking sheets, or towels. They also have many uses in RV bathrooms. 7. 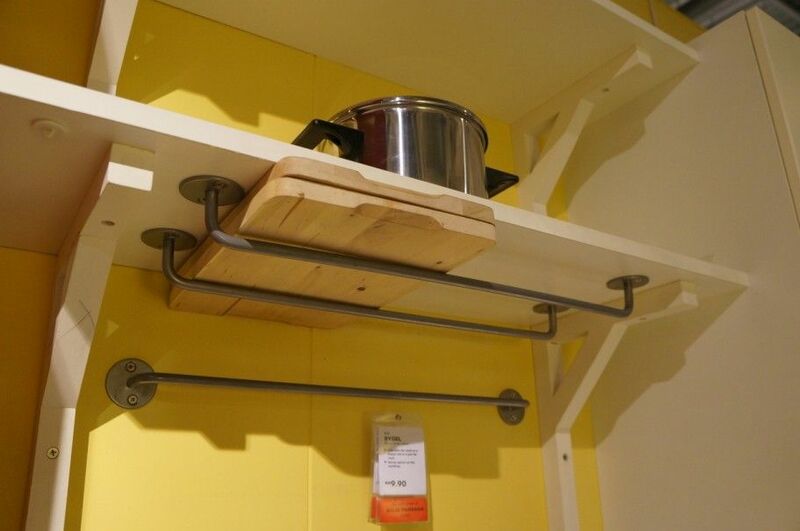 Mount a lazy susan turntable upside down with hooks to hold your kitchen utensils. 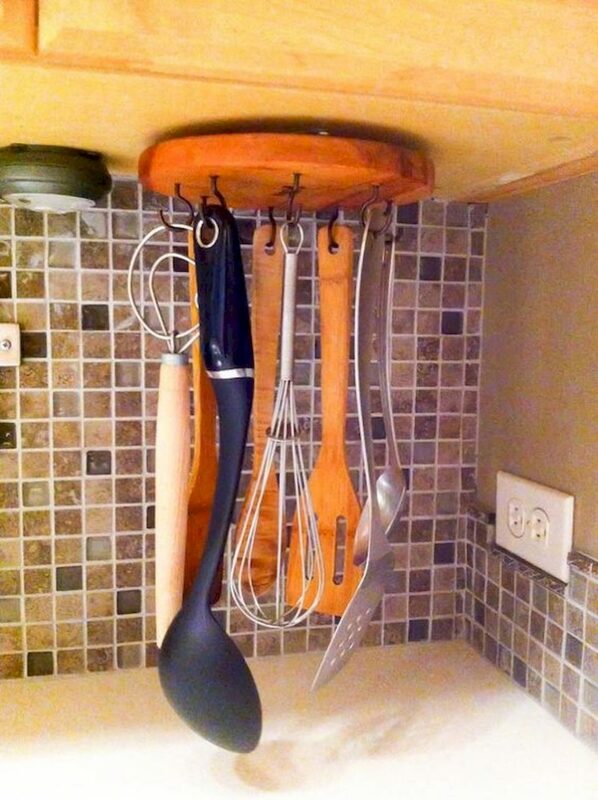 Make sure your utensils have small holes at the bottom for hanging. 8. Use stacking shelves in cabinets to double your amount of storage space. Grayline makes this handy six-piece set with three shelves, a spice rack, a wrap rack, and a sorter. 9. 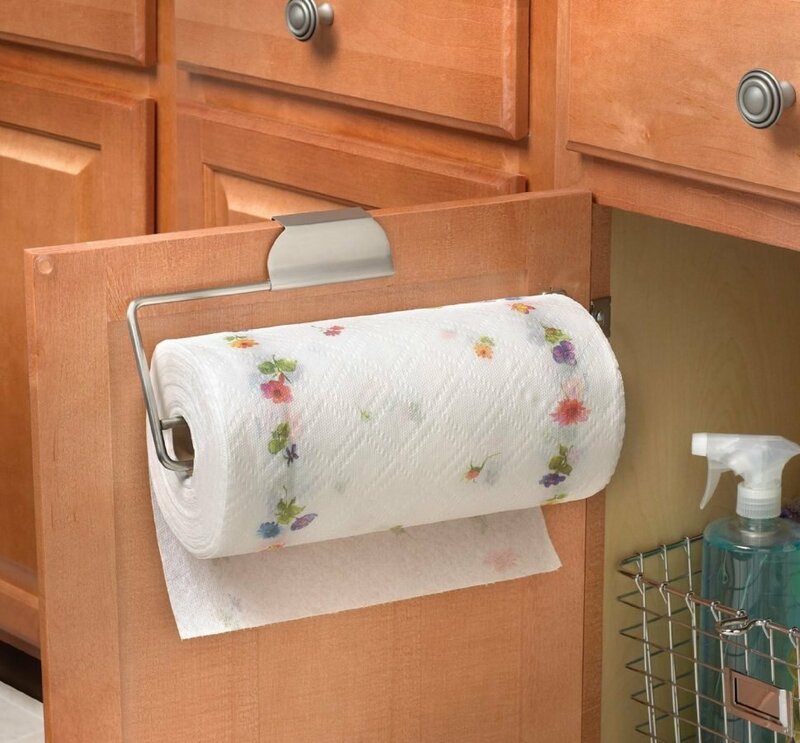 Slide an over-the-door paper towel holder on a cabinet door. You can find them on Amazon for only $10. 10. 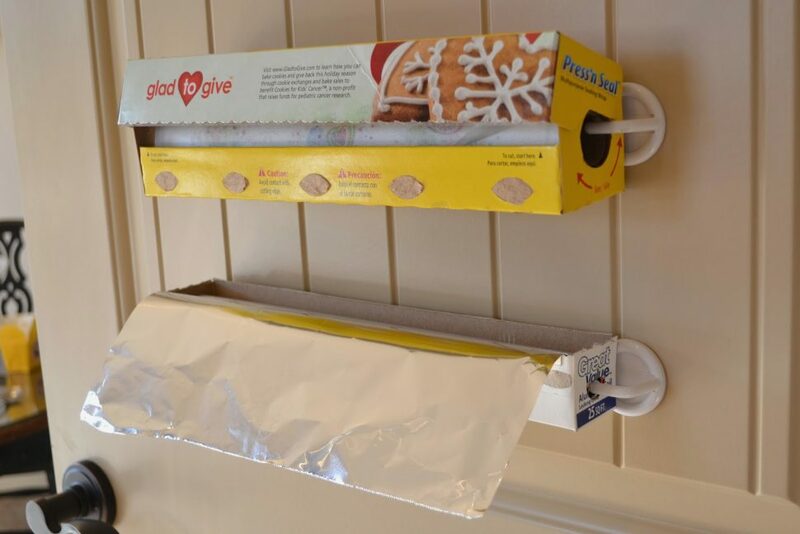 Use self-adhesive hooks to store your plastic wrap and aluminum foil. I’ve built a few lazy susan type turntables, twisting my mind around how to mount one upside down. Screw holes would be impossible to reach on any I’ve seen. Share with us how its done? I thought the same. My guess, they drilled / drove screws from inside the overhead cabinet. You can also remake your countertop with a product called SpreadStone.. Works well in most every countertop material including laminate,wood and tile. You need to drill one access hole that can be rotated around for access to 2 or 3 mounting screws.